From the basic to the truly unique, from the modern to the traditional, if you can imagine it, we can help make it happen. Robert Allen leads the decorative fabric and home furnishings market with products inspired by our devotion to quality and backed by the industry's highest standard of service. For over 50 years, we've built a creative tradition rooted in exploring the nuances and subtleties of color. We're dedicated to supporting each of our customer's vision with a continuous flow of new products, supported by an unflagging commitment to shipping orders in 24-hours. 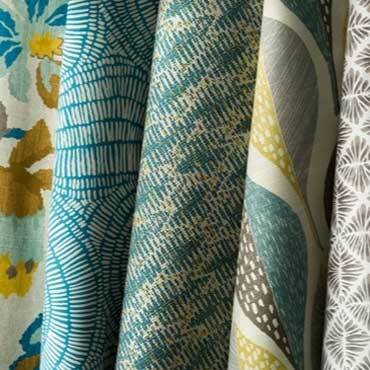 At Robert Allen, we consider ourselves the ultimate resource for people committed to the art of interior design. Our thoughtfully chosen, carefully coordinated palettes — an evolving vocabulary of color, texture and pattern — make sense of the ever-changing world, so you can create spaces both refined and innovative. 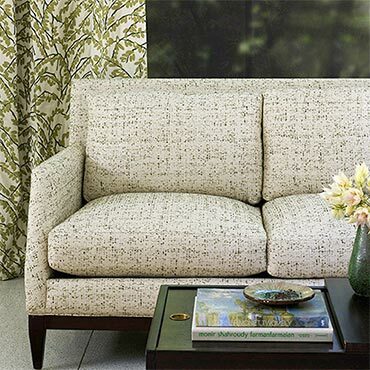 Our fabric and leather collections — Color LibraryTM, Essentials, Editions and Robert Allen @ HomeTM — span the expressive spectrum from the formal to intimate, and from the casual to bold. Our emblematic drapery hardware and trim collections combine finishes and finely crafted decorative accents for styles ranging from classic to contemporary. And the Robert Allen rug program offers a simple way to create signature area rugs with more than 100 choices of colors and patterns in fields and borders. Our unsurpassed experience lies in understanding the invention and creation of fabric and related home furnishings. This commitment to design as well as advanced planning and customer service technology, enables us to serve the interior design community in our showrooms, through our sales representatives, and, now, online. Think of this web site as a complementary, easy-to-use resource, leveraging the latest technologies to put a Robert Allen showroom on your desktop. We welcome your feedback, and hope that you will continue to enjoy Robert Allen for a life lived with sophistication, creativity and style. If you can imagine it, we can help you make it happen.